Texas Gov. Greg Abbott has cut funding to Travis County, which is home to Austin, the state capital, after the new sheriff said he wouldn’t cooperate with federal immigration officials. Travis County Sheriff Sally Hernandez started a new policy that blocks deputies from asking anyone about their immigration status. They also won’t hold illegal immigrants in county jails if they’ve completed sentences for minor crimes. Now, Abbott’s office said it would cancel $1.8 million in grants to law enforcement programs in Travis County as well as the University of Texas’s flagship campus. Other grants to the county will be identified and blocked, he said. 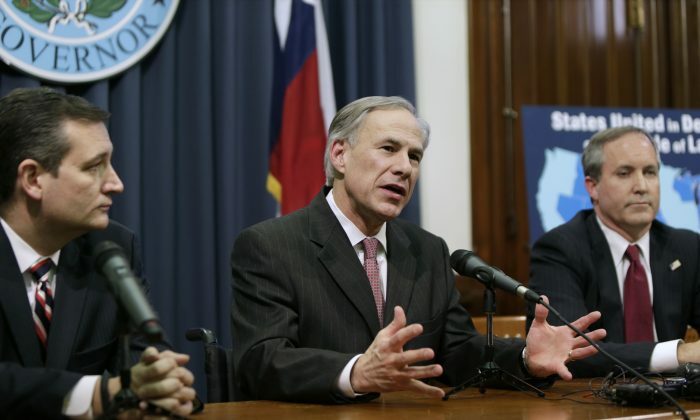 Abbott called Hernandez’s policy “dangerous,” “shortsighted,” “reckless” and “frivolous,” according to The Hill. She made the announcement shortly after Trump took office. Travis County leaders have condemned losing $1.5 million in grant money earmarked for crime victim services, courts, and other programs, AP reported. And Travis County Judge Sarah Eckhardt wrote in a letter to Abbott that she believes Hernandez is within the law. “I am certain you have come to the same conclusion; else you would not be seeking to change current State law to put all Texas Sheriffs in the service of the United States Department of Homeland Security,” Eckhardt wrote.